The Unassuming Economist | Forecasting: Who keeps the score? 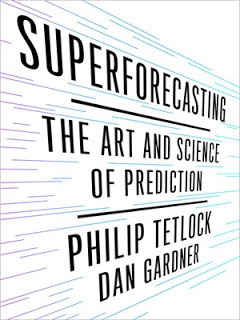 Superforecasting: The Art and Science of Prediction. By Philip Tetlock and Dan Gardner. Crown; 352 pages; $28. Here are four forecasts that have been made in the technology field. First: “There is no reason anyone would want a computer in their home”, this was a forecast made in 1977 by Ken Olson—the president of Digital Equipment Corporation. Second: “There’s no chance that the iPhone is going to get any significant market share. No chance”, that was the forecast made in 2007 by Steve Ballmer—CEO of Microsoft. Third: “In five years I don’t think there’ll be a reason to have a tablet anymore”, forecast made in 2013 by Thorsten Heins—CEO of BlackBerry. Fourth: “Yes, the iPad Pro is a replacement for a notebook or a desktop for many, many people. They will start using it and conclude they no longer need to use anything else, other than their phones”, this forecast was made few weeks ago by Tim Cook—CEO of Apple. In the first three cases, it is safe to say that we know the outcome. In the last case, we will have to wait and see. Can ordinary people also make forecasts? Who keeps the score of all the forecasts that are made? Why keeping the score matters? What is needed in the forecasting field? Can we do better at forecasting? These are some of the questions that are discussed in a fascinating new book: Superforecasting: The Art and Science of Prediction by Philip E. Tetlock and Dan Gardner. Tetlock is a professor at the University of Pennsylvania and Gardner is a journalist, author, and a lecturer. 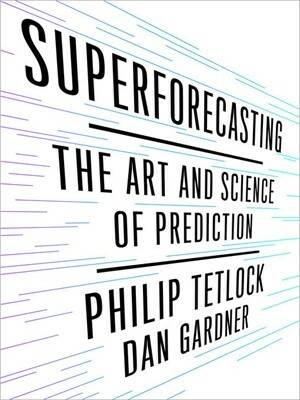 The new book by Tetlock and Gardner describes the results from a massive forecasting tournament—the Good Judgment Project—sponsored by Intelligence Advanced Research Projects Activity (IARPA). The idea behind the project was to see who could invent the best methods of making forecasts that intelligence analysts make every day. The participants were asked to make a forecast on different topics. Some of the topics included were: Will OPEC agree to cut its oil output at or before its November 2014 meeting? Will the president of Tunisia flee to a cushy exile in the next month? Will the gold price exceed $1,850 on September 30, 2011? Will the euro fall below $1.20 in the next twelve months? The project recruited a very high number of volunteers. These volunteers came from a very wide range of backgrounds: from retired computer programmer, social service worker, to a homemaker. Below are some of the interesting parts of the book.